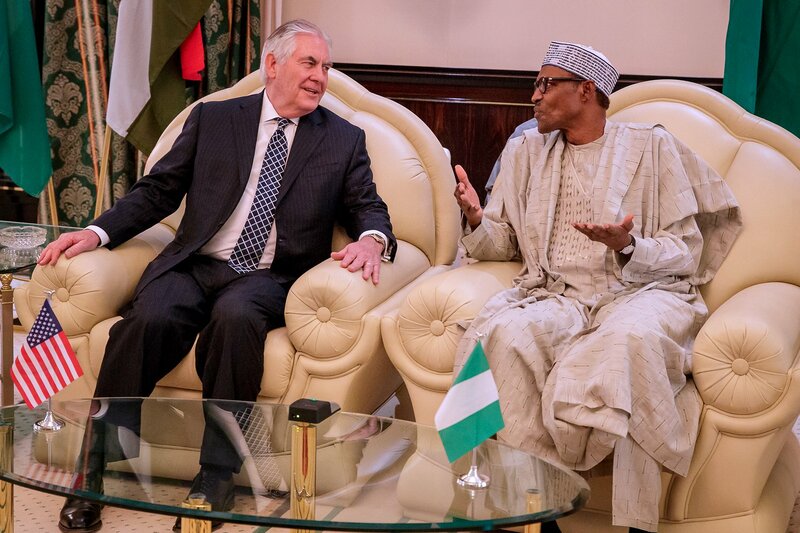 Why we prefer negotiation to military option for kidnapped Chibok and Dapchi schoolgirls – President Buhari tells Rex Tillerson – Royal Times of Nigeria. President Muhammadu Buhari said Nigeria prefers to have the abducted schoolgirls from Chibok and Dapchi back alive, and that is why it has chosen negotiation with Boko Haram, rather than military option. He said this while receiving the U.S Secretary of State, Rex Tillerson at the State House, Abuja. President Buhari added that Nigeria was working in concert with international organizations and negotiators, to ensure that the girls were released unharmed by their captors. He thanked the U.S for assistance rendered in the fight against insurgency, noting that Nigerian forces are good, but need assistance in the areas of training and equipment. President Buhari promised that his administration would continue to do its best to secure the country, adding that he would be in Yobe State, from where Dapchi schoolgirls were abducted, later this week as part of his condolence and sympathy visits to areas that had unfortunate events.